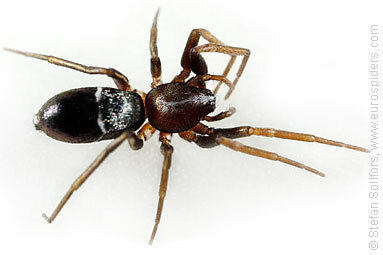 Female Micaria subopaca from the side. Close-up of a female Micaria subopaca. 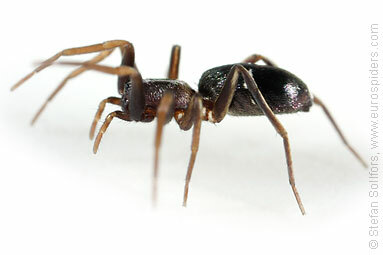 Note the light stripe on the back leg, the white dots where the legs connect to the body and the white hairs on the head. Female Micaria subopaca, head-on view. Male Micaria subopaca, head-on view. 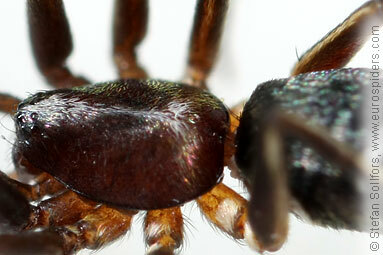 Female Micaria subopaca from below. 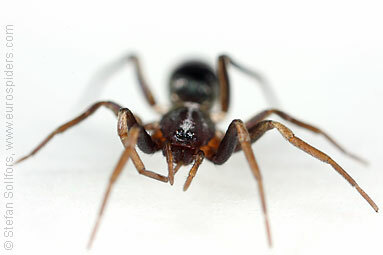 Male Micaria subopaca from below. 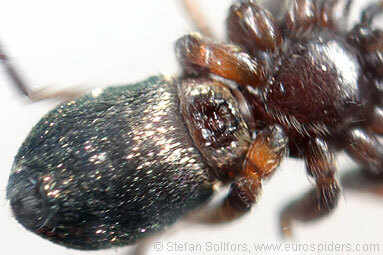 Male Micaria subopaca Close-up of palp. 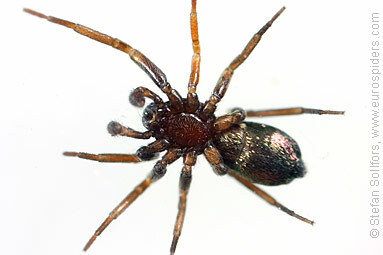 Female Micaria subopaca, around 3 mm. 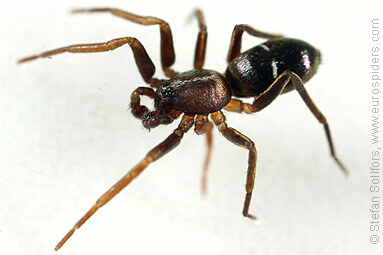 Male Micaria subopaca, around 3 mm. 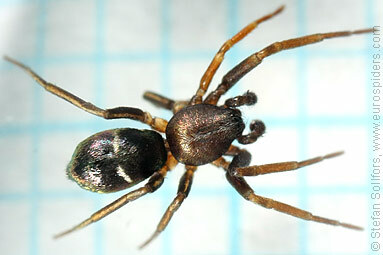 The Ground spider Micaria silesiaca. 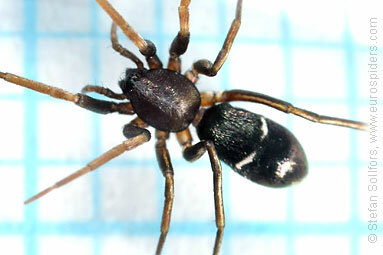 Note the white interrupted line on the middle of the abdomen.